Serve your community… just by being YOU. Join us at an Info Session to learn about the mentoring programs in Calaveras County. Grab your boots and bling! Join us on Sunday, May 26 from 6-10pm at Vida Buena Farm in Vallecito for a casual and festive PARTY for youth mentoring! Tickets to chow down and kick up your heels are $40 each. Live music, dinner by Outer Aisle, raffle, live auction and more! Learn how you can make an impact in a young person's life today. The Friday Night Live (FNL) Mentoring program matches 7th and 8th grade "proteges" with 10th, 11th and 12th grade mentors. They meet after school once a week for structured, supervised and very fun activities. The Calaveras Youth Mentoring Program connects local youth with safe, positive mentors who offer friendship, opportunity and support for making healthy life decisions. Young Adult Mentoring is an expansion of the Calaveras Youth Mentoring Program where young adults connect with mentors who offer friendship, experience, and resources to help them develop greater self awareness and experience a smoother road to adulthood. Your financial contribution goes far. 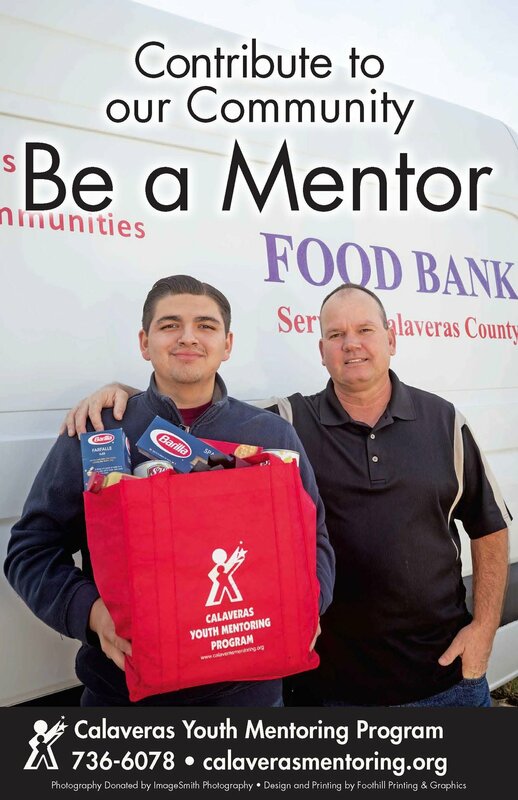 A donation to the Calaveras Mentoring Foundation makes it possible to recruit, screen, train, match, monitor, support and evaluate volunteer mentors and mentees to ensure the safety and success of our matches.